The Valentine’s Train last Saturday was a great success. There were almost 80 happy people. They enjoyed a wonderful three-course meal, erectile a fun ride on the Cooma Monaro Railway heritage train and of course, romantic classical guitar music provided by myself and Leslie. This entry was posted in Concerts & Events and tagged Cooma Monaro Railway, Witches & Wizards on February 28, 2013 by allan. 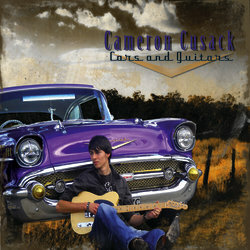 Cameron Cusack and friends will be performing at the Cooma Bowling Club. This concert will raise money for the Queensland Flood Relief Appeal. There will be a raffle with lots of great prizes. 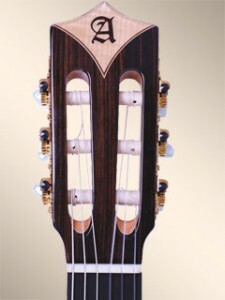 Cooma School of Music will be donating a beautiful Takamine guitar which will be signed by Troy Cassar-Daley. It’s a family event so there will be activities for the kids such as face painting. This entry was posted in Concerts & Events and tagged Aces & Eights, Cameron Cusack, Cooma Bowling Club, takamine on February 28, 2013 by allan. Venue: Cooma Country & Bowling Club. Featuring local artists and invited guests. Tickets Adults $15 – High School Students $5 – under 12 free. Venue: St Paul’s Anglian Church Hall – Commissioner Street Cooma. All musicians and singers welcome to perform. Tickets Adults $10 – High School Students $5 – under 12 free. Venue: Cooma Country and Bowling Club – Mawson Lane Cooma. This entry was posted in Music Festivals on February 22, 2013 by allan. The festival celebrates the best of Aboriginal, epilepsy Australian, sales Irish and Polish cultures, ampoule inspired by the achievements of the explorer Sir Paul Strzelecki and the majesty of the mountain he named after General Kosciuszko, a renowned champion of equal rights and the liberty for humankind. This entry was posted in Music Festivals and tagged k'ozzie fest, piano recital on February 21, 2013 by allan. This entry was posted in Concerts & Events and tagged Rose's Restaurant, The String Contingent on February 19, 2013 by allan. 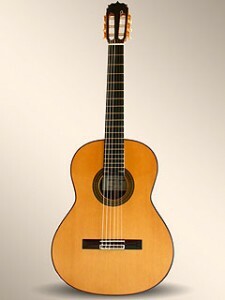 Alhambra 1C (Solid Cedar Top) $599-Great guitar for the serious beginner! 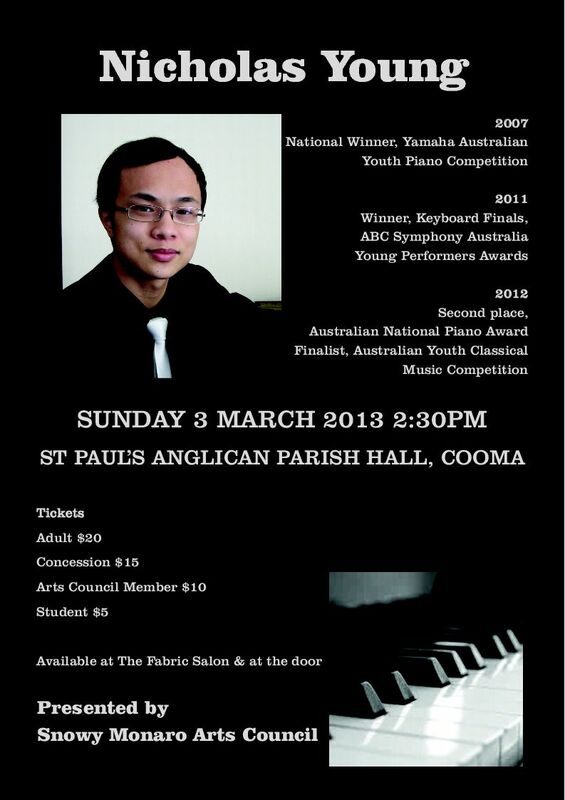 finalist in the Australian Youth Classical Music Competition in 2012 will give a recital in Cooma on Sunday 3 March. Nicholas, who comes from Sydney, began studying piano at the age of six. His extraordinary skills as a musician have earned him several scholarships and gained him recognition in many competitions. In 2012 he also took second place in the Australian National Piano Award, and prior to that he won his section in the ABC Symphony Australia Young Performers Awards. As a teenager he was the national winner of the Yamaha Australian Youth Piano Competition in 2007. An accomplished performer, Nicholas has played with Symphony Orchestras all around Australia and has given solo recitals in Australia and New Zealand. 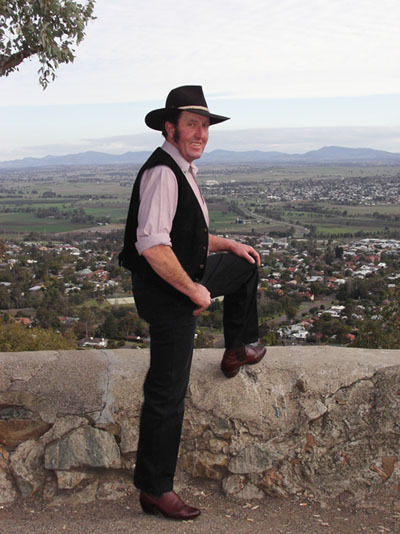 His 3 March recital in Cooma is at 2:30pm in the Anglican Parish Hall on Commissioner Street, on the Snowy Monaro Arts Council’s own grand piano. Tickets for the recital are available at The Fabric Salon and at the door before the concert. This entry was posted in Concerts & Events and tagged Nicholas Young, piano recital, snowy monaro arts council inc on February 19, 2013 by allan. 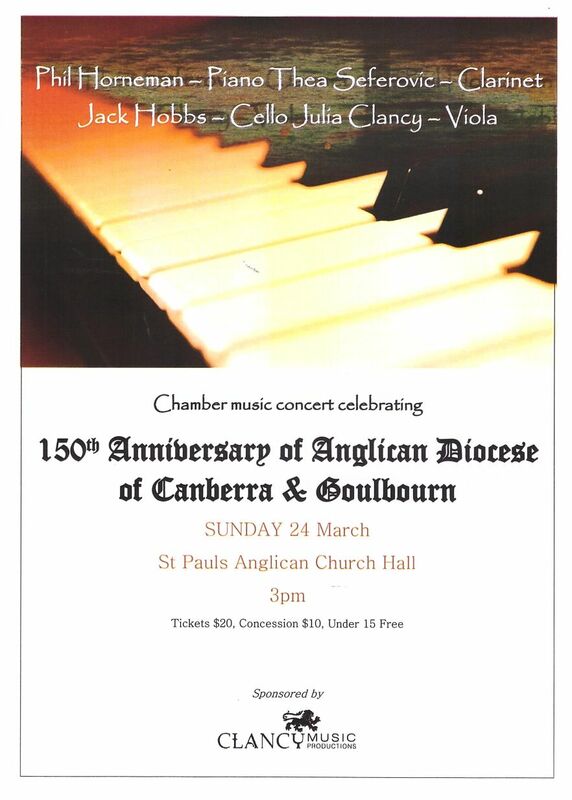 Local music teacher/band leader Phil Horneman is presenting a chamber music concert to celebrate the 150th Anniversary of the Anglican Diesis of Canberra and Goulbourn at St Pauls on Sunday March 24 at 3pm. The guest artists include Thea Seferovic on clarinet and Jack Hobbs on cello, both recently graduated from the ANU School of Music in Canberra. The program will feature Beethoven Op. 11 Piano Trio for Piano, Clarinet and Cello. Also popular duos including Schumann Fantasie Pieces No. 2 for Clarinet and Piano, Faure Sicilienne for Cello and Piano, Mendelssohn Song Without Words Op. 109 for Cello and Piano, and Beethoven Romance in F Op. 50 for Viola and Piano with guest artist Julia Clancy. This concert program will also be performed in Young at the Young Regional School of Music as part of their Morning Melodies series in April 2013. Tickets available from Cooma Colour Print and at the door. Supported by Clancy Music Productions Pty Ltd. 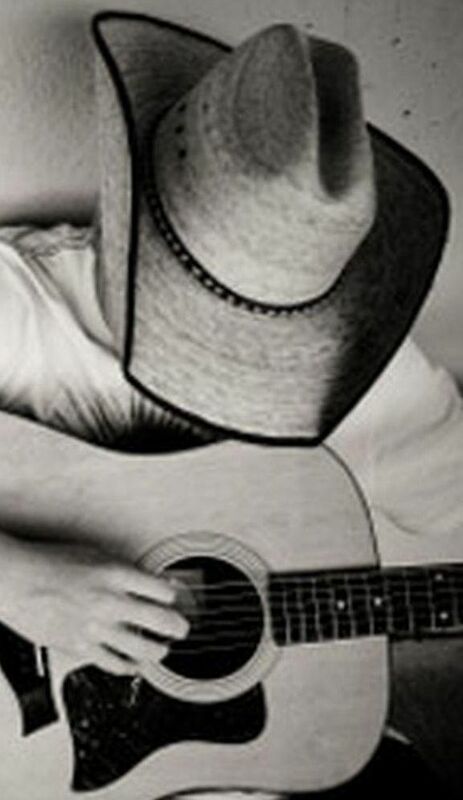 This entry was posted in Concerts & Events, Our Music Community on February 19, 2013 by allan. This entry was posted in Concerts & Events and tagged Band of the Royal Military College on February 15, 2013 by allan. 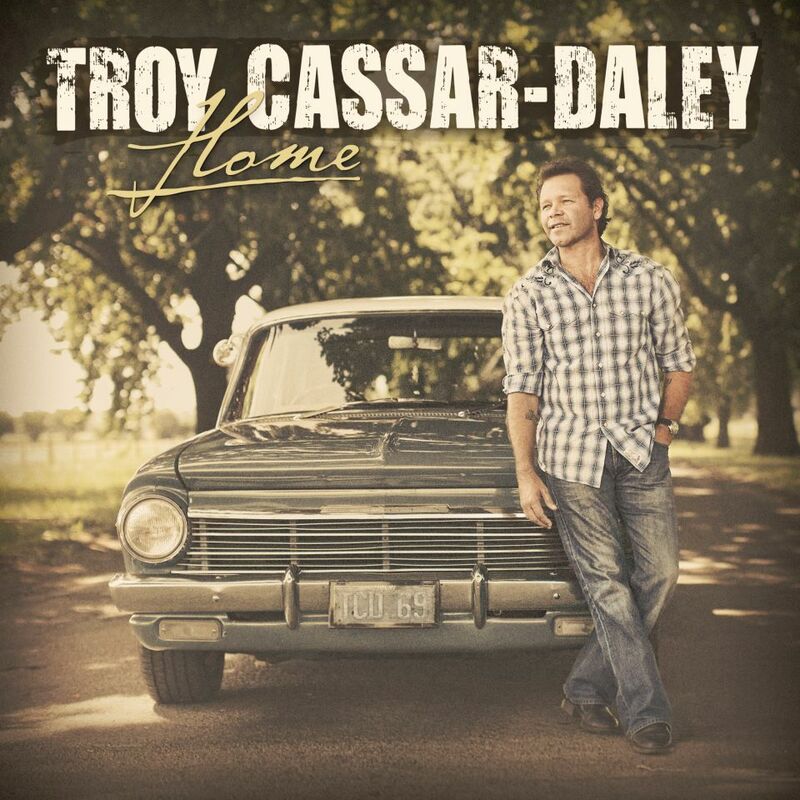 Troy Cassar-Daley will be performing at the Cooma Ex-Services Club. Troy has just received another 4 Golden Guitar at this year’s Tamworth Country Music Festival which brings his total to 25! 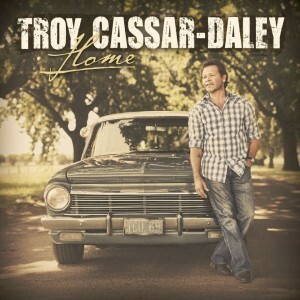 Troy Cassar-Daley will be performing with his band and local country artist, purchase Cameron Cusack. This concert will assist the Rural Fire Service and those affected by the recent bushfires. 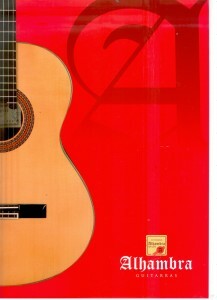 Cooma School of Music will be donating a Takamine guitar which will be signed by Troy to the RFS raffle on the night. This entry was posted in Concerts & Events and tagged Cameron Cusack, cooma ex-services club, Rural Fire Service, takamine, Troy Cassar-Daley on February 11, 2013 by allan.